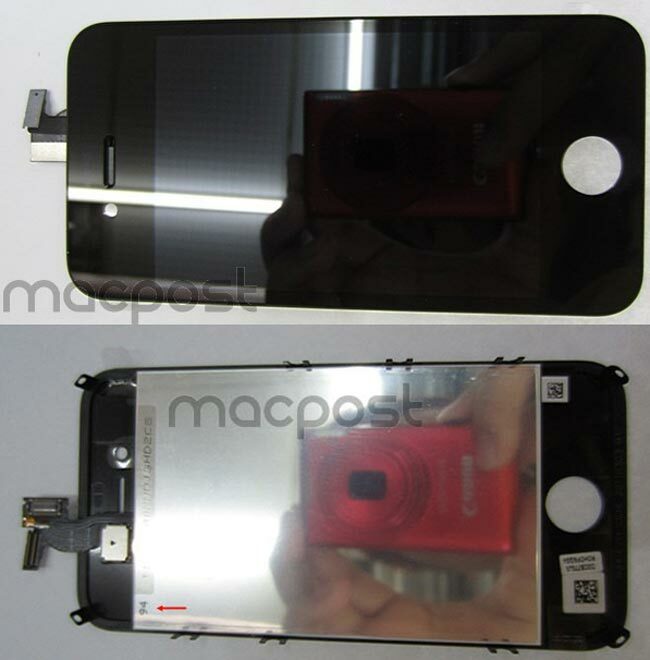 yesterday we saw some photos of what were reported to be parts of the new iPhone 5, possibly prototype parts with the code N94 marked on them. The reference to N94 has previously been found in iOS 5, and it is a reference to a new unreleased Apple device. Now the guys over at Macpost have got their hands on another photo of an N94 part, this time it is a black version of the LCD, digitizer screen panel and the home button for the N94. The LCD part is N94 “EVT1″ which stands for Engineering Verification Testing and it is dated 3rd March 2011, whilst the one from yesterday is dated 7th June 2011. This could possibly be for the new iPhone 5, or there is one other possibility it may be for the rumored iPhone 4S, which may launch as a cheaper device at the same time as the iPhone 5.